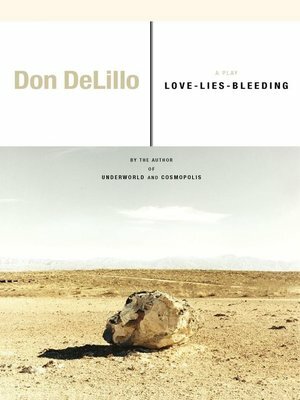 Love-Lies-Bleeding, Don DeLillo's third play, is a daring, profoundly compassionate story about life, death, art and human connection. Three people gather to determine the fate of the man who sits in a straight-backed chair saying nothing. He is Alex Macklin, who gave up easel painting to do land art in the southwestern desert, and he is seventy now, helpless in the wake of a second stroke. The people around him are the bearers of a complicated love, his son, his young wife, the older woman -- his wife of years past -- who feels the emotional tenacity of a love long-ended. It is their question to answer. When does life end, and when should it end? In this remote setting, without seeking medical or legal guidance, they move unsteadily toward last things. Luminous, spare, unnervingly comic and always deeply moving, Love-Lies-Bleeding explores a number of perilous questions about the value of life and how we measure it.